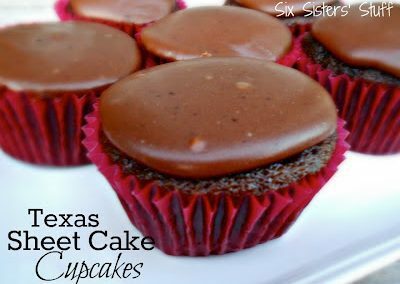 I LOVE Texas Sheet Cake and have been making it for years and years. 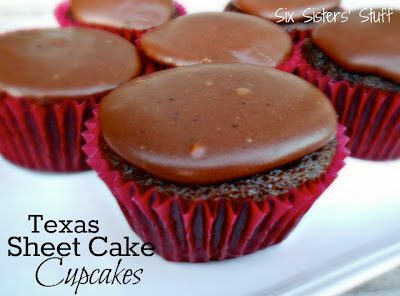 I don’t know why it never occurred to me to simply make cupcakes out of them? 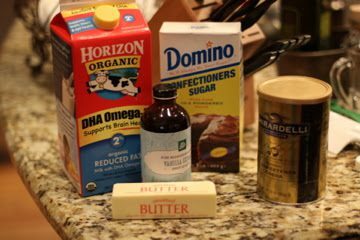 *Buttermilk substitute: Mix 1/2 cup milk with 2 tsp vinegar. 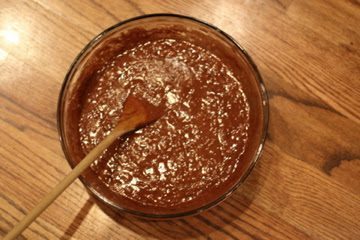 Let sit for a minute before adding to other ingredients. Preheat the oven to 350 degrees. Place 24 cupcake liners into muffin pans. 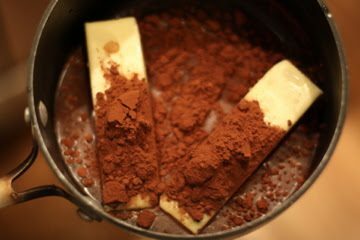 In a small saucepan, bring the butter, water, and cocoa powder to a boil. Turn off and set aside. 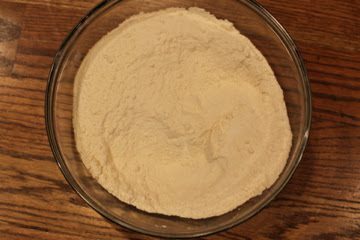 Combine flour, sugar, and baking soda in a bowl. Add eggs, buttermilk, vanilla, and cocoa mixture. Stir until well blended. 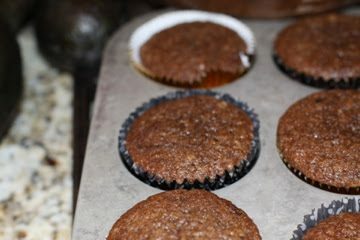 Pour batter into cupcake liners (about 2/3 full). Bake for 18-20 minutes or until done. 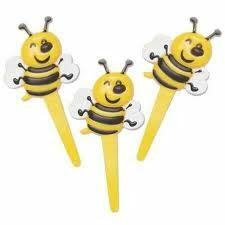 They will be moist- make sure that you don’t overcook them! Cool completely. 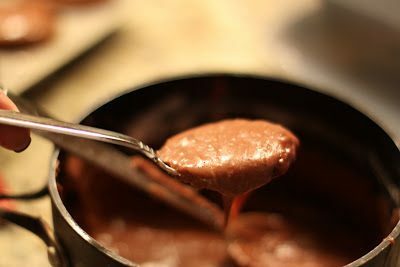 In a small saucepan, combine milk, cocoa powder, and butter. Bring to a boil. Remove from heat. Add vanilla and powdered sugar. Stir until it starts to thicken slightly (about 3-4 minutes). 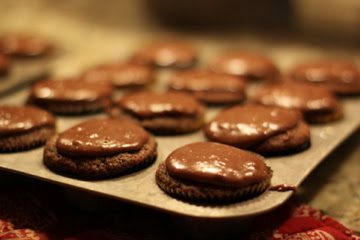 Drop a tablespoon full onto center of each cupcake. 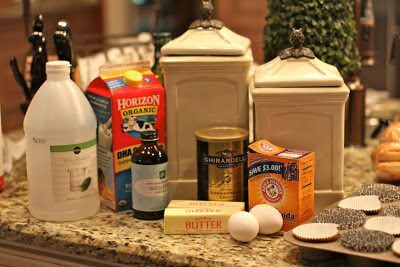 The frosting will thicken quickly, so do not make the frosting until ready to put on cupcakes. This is a pour on frosting. It is not a spread or pipe on. It will still be a little runny when it is applied. The frosting will harden as it cools on the cupcake. The best way to tell when it is ready to use is to drop a spoonful on a plate and see how far it spreads. When it spreads just to the width of a cupcake, it’s ready. If it spreads too far, stir for a little longer. 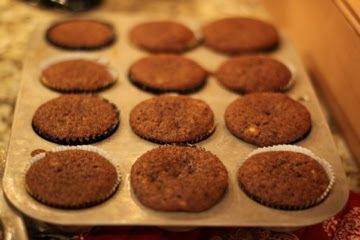 I used one heaping soup spoonful per cupcake.